In the noisy city people often forget the instincts and basic needs of primal life. There is no denying that progress is existing in our daily life, but there are some things, such as reading can’t be replaced. When reading is brought back to our life, our dreams can come true. Let’s first check some interesting bookstores in Chongqing. 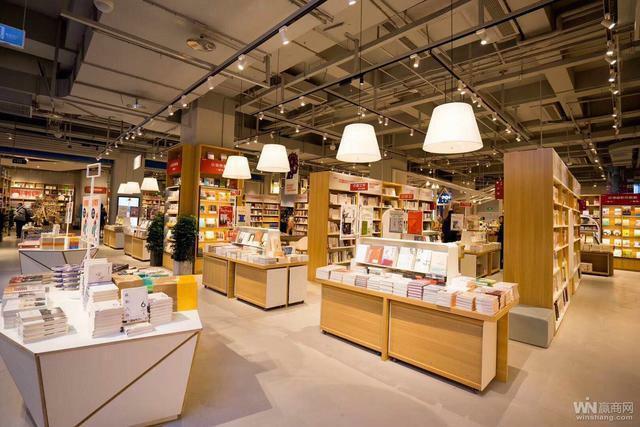 The flagship bookstore, opened at the end of January in Guotai Plaza Park, Jiefangbei, is recognizable almost to many people and become one of the most popular bookstores in Chongqing. The one at Jiefangbei is especially big in size (25000M/2) and with a design that looks like magnet filed, which is welcomed by most people who are fond of reading! In the bookstore you will find many seats provided to people for reading,and it’s fairly to say, so far, the bookstore provides the most seats for readers in Chongqing in the current Chongqing bookstore. The newly-opened bookmall in the 4A Scenic Spot of Danzishi Old Street represents a new cultural landmark in Chongqing. It’s noted that the bookstore is located in a Quadrangle dwelling of the street, and is a comprehensive bookstore with the main storage of cultural and children’s literature. It is the first flagship bookstore in southwest China. In addition to its beautiful outlet, what also offers here are tea, light food and coffee, and you may have long and detailed talks with bookworms from all over the country. It’s located near the river, and known as the multi-function bookstore with beautiful appearance and quiet environment in a noisy neighbourhood. Entering the bookstore, you will find the interior decoration is really with its own feature that many of the gadgets have been collected and preserved by owner for many years. If you are lucky, you might see a straight and upright orange cat wandering there. The best time to go to this bookstore is in summer due to its damp environment, and there you can order a drink and enjoy the laziness of the whole afternoon and escape the summer heat. Located in the prosperous and bustling area of Jiefangbei, the bookstore has quite quiet surroundings. Though there are not so many books, everyone is well picked by the owner. The environment of designing is fresh and natural. Its simple and generous layout gives it an astonishing attractiveness for reading. In this cultural living space, you can order drinks and desserts, especially the coffee with the good reputation among visitors.